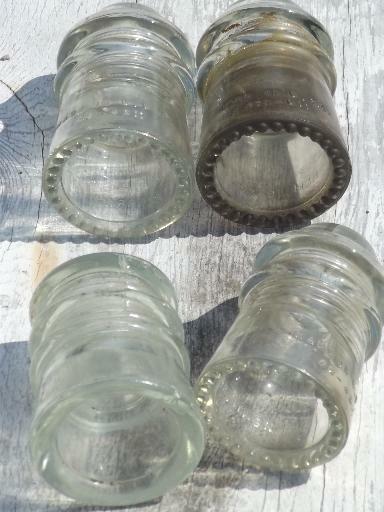 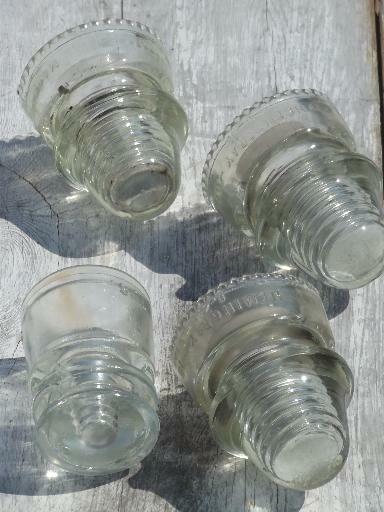 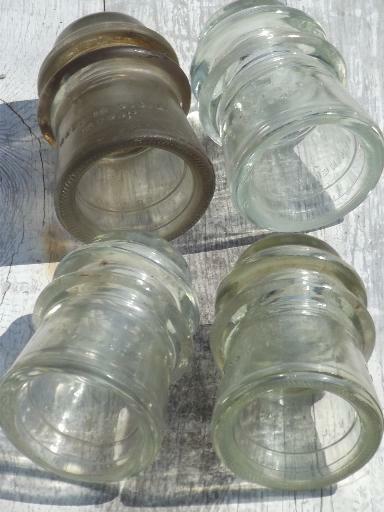 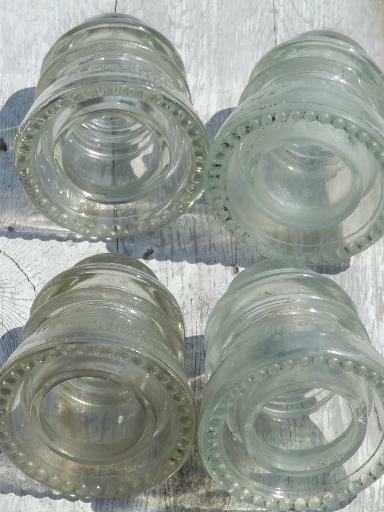 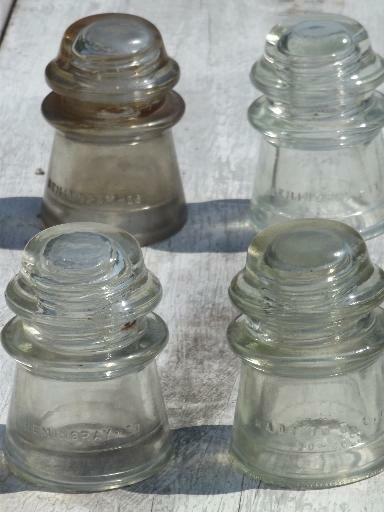 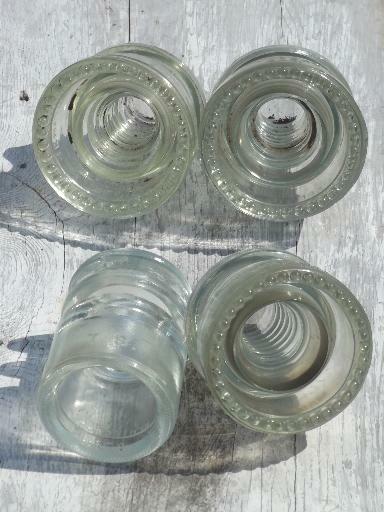 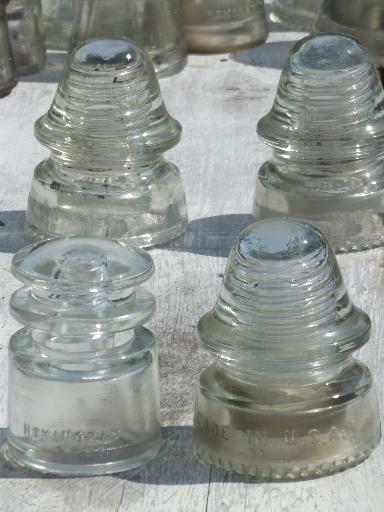 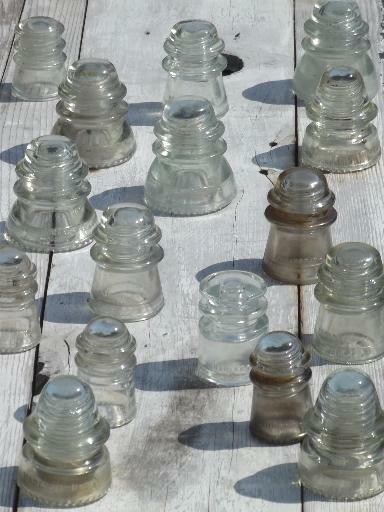 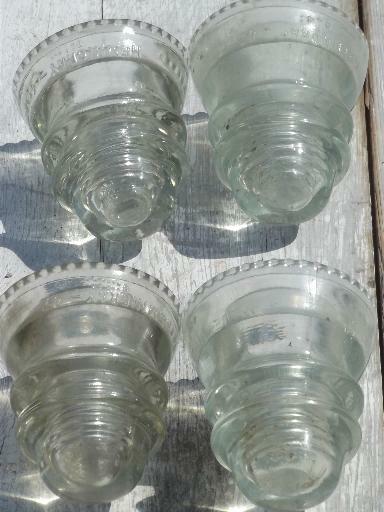 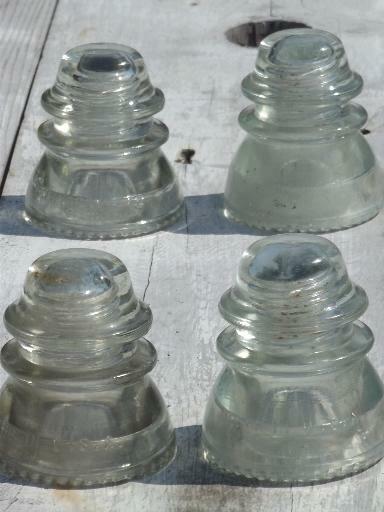 Lot of sixteen old clear glass insulators for telegraph or telephone lines, dating to the 1890s and the early 1900s. 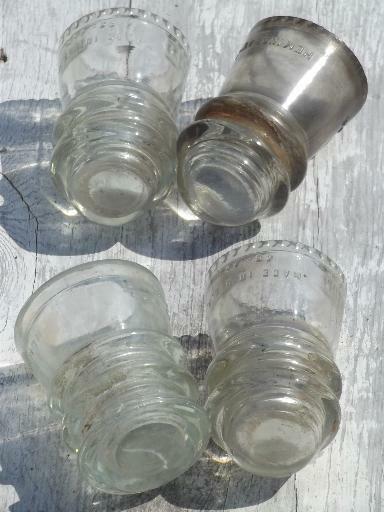 These are several makes and sizes, about 3 3/4" to 4 1/4" tall. 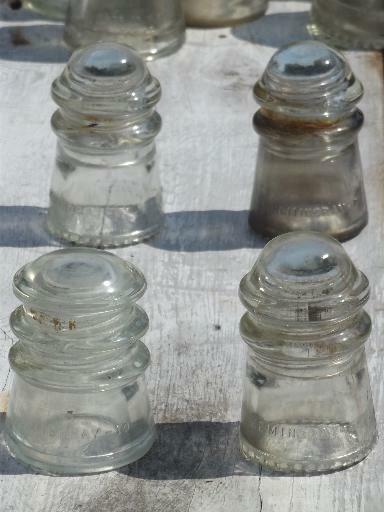 Many of these have some chips (large and small), all have wear, scratching, soil etc. 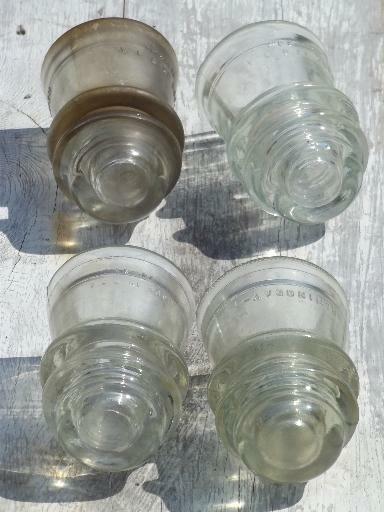 from use.